An American journalist was released from captivity by an al-Qaeda related group on Sunday, possibly thanks to the attention drawn from James Foley's brutal death. "I don't know what was going through their heads but there can be no doubt they realized it was not in their best interests to be holding an American hostage at this time," GlobalPost CEO Philip Balboni told MailOnline. Peter Theo Curtis was kidnapped while in Turkey in 2012 before he could enter Syria to document the humanitarian crisis in the country. He was held by an al-Qaeda offshoot known as the Nusra Front. They made the decision to release him to UN intermediaries on Sunday, but nothing is known about what exactly led to his release. However, Balboni, who employed Foley, believes that his death and the attention brought by it, was a contributing factor. "I think they made the calculated decision that the inevitable consequences of what ISIS had done to Jim would be visited upon them if they didn't make this gesture," Balboni added. "We are so relieved that Theo is healthy and safe and that he is finally headed home after his ordeal, but we are also deeply saddened by the terrible, unjustified killing last week of his fellow journalist, Jim Foley, at the hands of the Islamic State in Iraq and Syria, ISIS. I have seen Diane Foley's bravery and her heroic efforts firsthand, efforts that helped rally the spirits of the families of all the journalists and others being held captive," Theo's mother, Nancy Curtis, said in a public statement. ISIS and other rebel groups are known to take hostages in order to obtain funding for their organizations. Other countries are willing to pay ransoms for hostages, but the United States and the United Nations have agreed not to pay in order to hopefully deter the kidnappings. That doesn't mean that the two governments are not concerned about their citizens' safety. The US government revealed last week that it had undertaken a secret mission to try and free hostages held by ISIS. Officials received information about the possible location of the hostages from previously held hostages who were debriefed by UN leaders. However, when the US team arrived in Iraq, the hostages had already been moved to a new location. Now that Curtis has been released, seemingly voluntarily, there is renewed hope for others being held by al-Qaeda or ISIS. "I think what we're seeing is a shift as the result of the Foley beheading," Rick Brennan, senior political scientist at the RAND Corporation, told the New York Times. "Qatar has an interest in making certain it is seen as an ally in the war on terror. And beheading Americans or Westerners is not in Qatar's interest." Curtis' family, as well as government officials, are relieved and grateful for his release and are hopeful that more hostages will soon be freed. 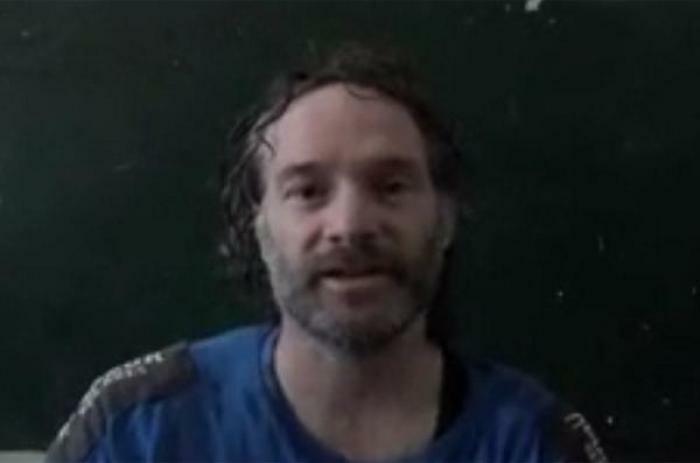 "For two years, we have kept Peter Theo Curtis, a U.S. citizen held hostage in Syria, in our thoughts and prayers. Today, we join his family and loved ones in welcoming his freedom," National Security Adviser Susan E. Rice said in a statement. "We hold in our thoughts and prayers the Americans who remain in captivity in Syria. Not withstanding today's welcome news, the events of the past week shocked the conscience of the world. As President Obama said, we have and will continue to use all of the tools at our disposal to see that the remaining American hostages are freed." 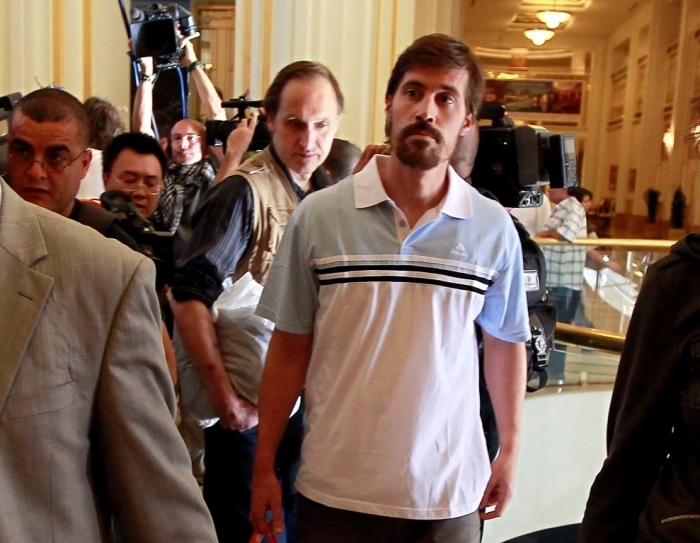 Foley dictated a final letter to his parents that was recited by a released hostage. They released the contents of that letter in a post on Facebook on Sunday, the same day that Curtis was freed. Curtis' freedom would have meant the world to Foley. "We are so grateful when anyone is freed; but of course, yearn for our own freedom," Foley said. "We try to encourage each other and share strength." The Foley family also noted that they are "deeply grateful" that Curtis was released and they "continue to pray for the remaining hostages."